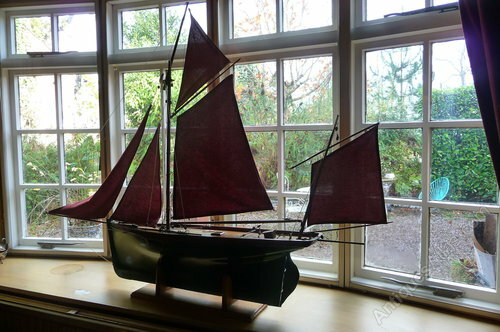 A Wonderful superb detailed model of an East Anglian fishing ketch/cawl. In perfect untouched condition, minor paint loss to hull, (pics can be sent),this remarkable model is 60" long and 48"h. We are dating this as around 1930 The quality of this model is astounding, from the planking of the deck to the rigging of the sails. A great model at a really competitive price.